I was artist-in-residence at Isle Royal National Park in 2003. I would later find out that a friend and artist that I would not meet until more than seven years later, photographer Deb Ford, was the next artist in the residency program a few weeks later. The inlet by my cabin. 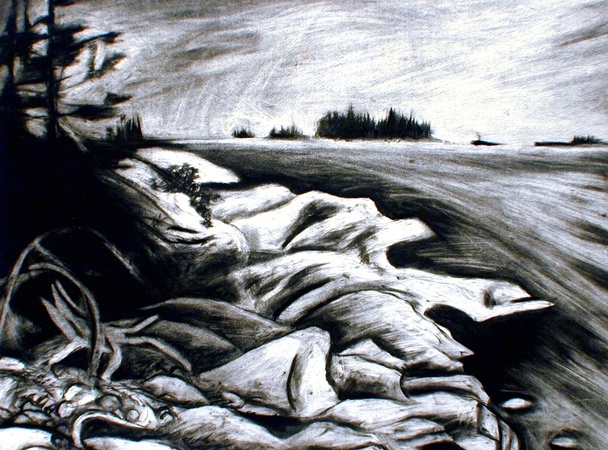 The only picture I have of this drawing before I gave it to Isle Royale, the early heydays of digital cameras (2004! ).